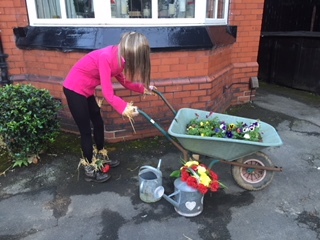 So, today I am quietly celebrating International Women’s Day …….in my own garden for a change! It is a day for Inspiration and Change! 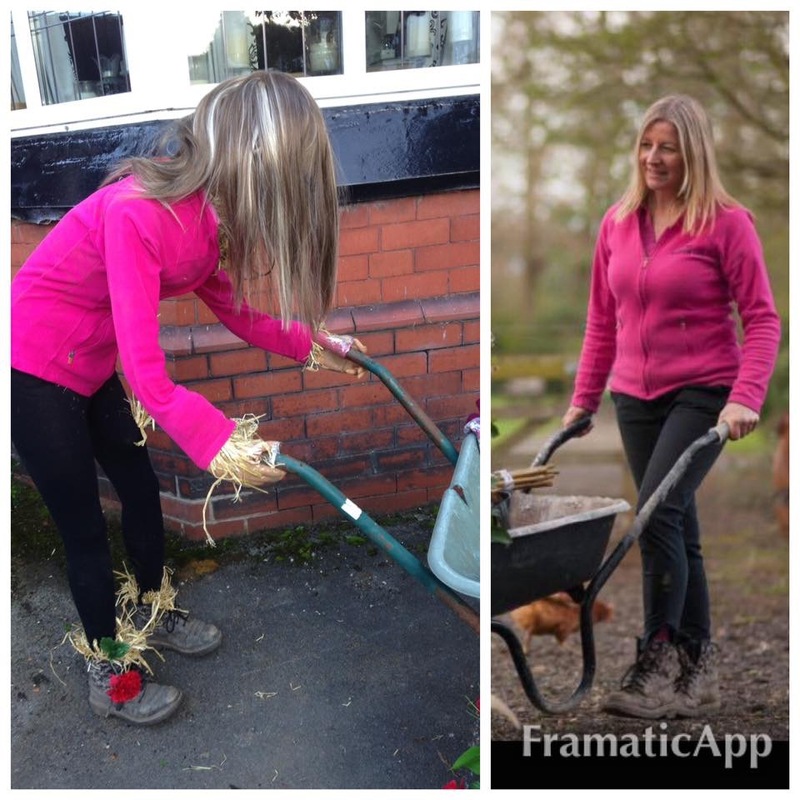 Today has given me time to reflect on my own actual achievements’, in particular my own gardening business. Life is never easy, but I do believe you have to have a dream, to ever be able to achieve anything outside your own comfort zone! So go ahead…pick your dream, and take action today….no matter how big or small….start putting the steps in place TODAY and you’re well-on your way to achieving your dream! I didn’t start my own business until late-on in my career, when I suddenly decided I needed a career change, and quick! (I am a little impulsive like that!) It was the best decision I have ever made! 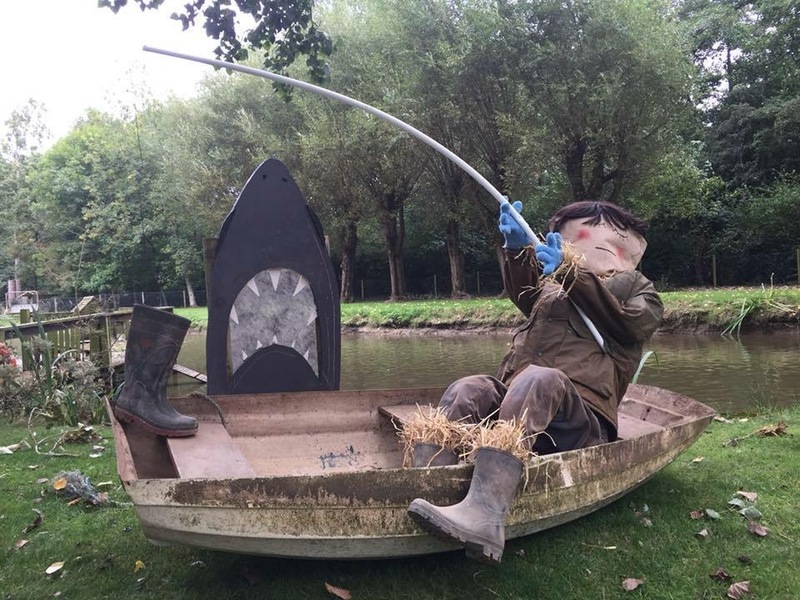 I now have a successful business, I’ve featured in The Sun newspaper, had a scarecrow replica made of me (Thanks Val! ), and featured in an AXA Insurance advert! It has been so much more than “just a Dream” so far. However, I have to say, I could not have done it without the help and support from my husband Dave! So even on this special day for women, I would like to share my success in ‘equal parity’ with my amazing husband (the Boiler Man @ G20 Gas Services)! Each December, a group of people in Urmston will volunteer to decorate a window for each day of Advent (via the Facebook Group: Urmston Partnership). It’s quite a fun thing to do, so I try to participate each year (with some help from my super-human hubster!). So, on the 1st of December someone will decorate (and reveal) their window decoration. The same on the 2nd December ….and so-on, until the 24th December. The decorations remain up until 5th January, so that if you wanted a nice family walk over the Christmas period, its a fun thing to do. 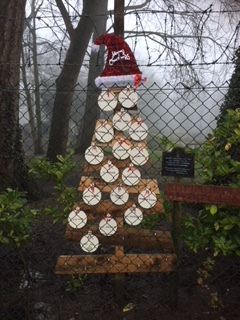 This year, we made a Christmas tree using pallets and added a bauble each day of Advent, which listed the address of the advent window revealed for that day. This was displayed in our garden, and could be seen from the meadows (enter at the corner of Southgate/ Riverside Drive….on the left approx. 200 metres down the path). Hope it brightens up your walk on the meadows :o). 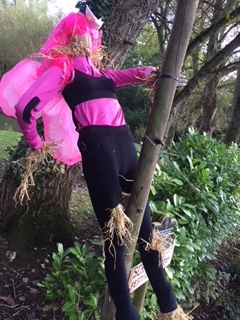 This year we were struggling for time, but we still managed to cobble-one-together quite quickly……a pole dancing fairy! (sorry!……it was all we could come up with at the time in a rush!). Still, at least we made an effort, and hopefully it made people smile as they walked the dogs on the meadows! This was displayed in our garden, and could be seen from the meadows (enter at the corner of Southgate/ Riverside Drive….on the left approx. 200 metres down the path).